The medieval harbour town of Rye, a quintessentially English bolthole on the East Sussex coast, has long been a magnet for renowned artists and writers. It has been a firm favourite of mine too for many years and I visit often to enjoy its picturesque coastal location, charming independent shops and cafes and rich history stretching back to Norman times. 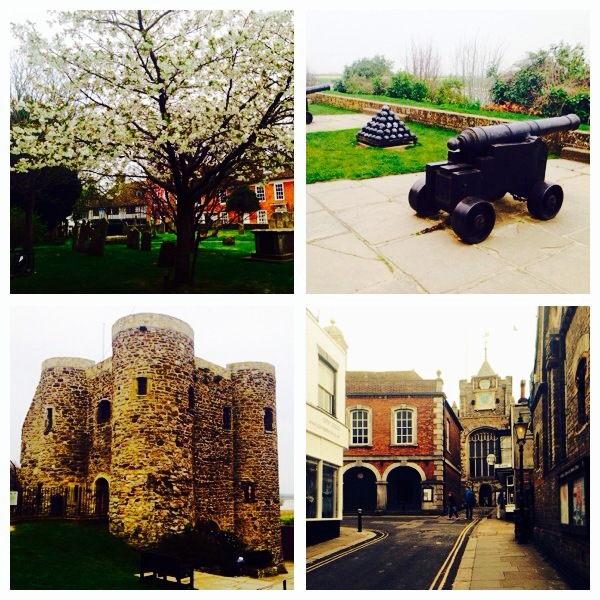 Rye is a lovely place to walk around window shopping and the town is packed with antiques stores and artists’ studios. Most of the main shops are located on Cinque Ports Street and the High Street, but the cobbled Mermaid’s Street is a favourite for many travellers, home to the famous Mermaid Inn, once the haunt of notorious smugglers, the Hawkhurst Gang. One of my favourite shops is Byzantium, a treasure trove of a shop busting with silver jewellery and items from around the world. The town’s history is evident wherever you look, and Rye is almost completely unchanged in some parts. The Norman church of St Mary’s sits atop of the hill and boasts great views from the top of its tower. The Castle (Ypres Tower) overlooking the harbour and the vast, flat landscape of Romney Marsh is also worth a visit. One link in the chain of forts built along the south coast by Henry VIII, it was abandoned in 1642 due to shingle build up. You can still find the row of historic cannon facing out towards the horizon, ready to defend the town from intruders. One of the things I most look forward to on one of my (frequent) trips to Rye, is the cheese scones at Fletchers House, just next to the church. A quaint little tea room with a roaring fire and old wooden beams, it was once the house of Jacobean playwright John Fletcher. They serve an array of sandwiches (fresh crab is their speciality), soups and roasts on Sundays, but nothing sways me from their gooey, warm, buttery cheese scones. The best in the business. 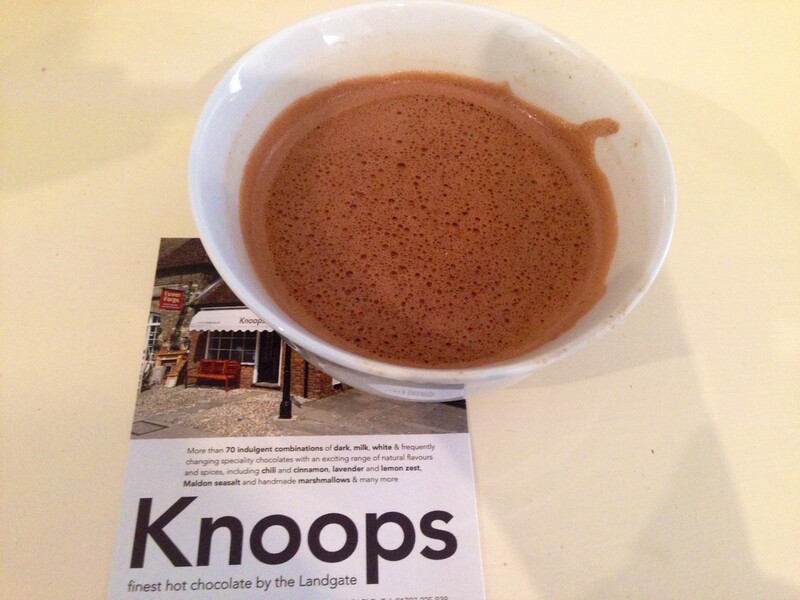 A relatively new discovery, Knoops specialises in (proper) hot chocolate. I was an immediate fan. You can pick what chocolate you would like, from great quality milk to 70% dark chocolate, and it helpfully guides you through the different tastes. You can also add a huge amount of ingredients to your hot choc from star anise to ginger, for the more adventurous, and all are served in bowl-like cups, perfect for holding in the palms of your hands and savouring the deliciousness. A simple idea, wonderfully achieved. 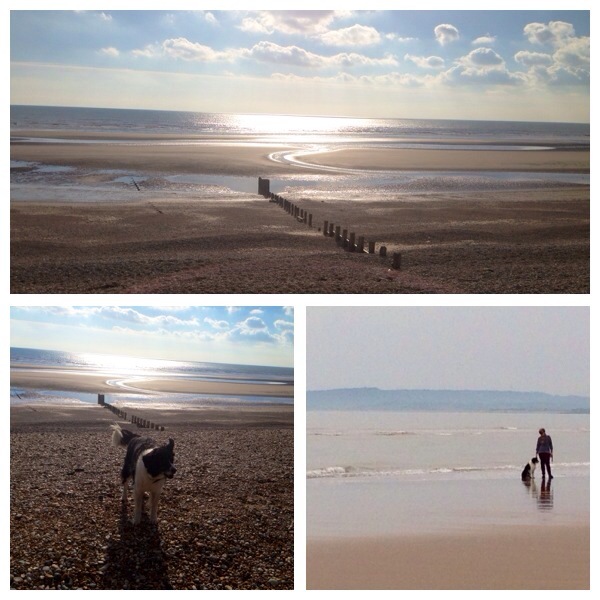 Perhaps the biggest attraction for me, Rye is a hop, skip and a jump away from the miles of golden coastline of Camber Sands. Not just popular with dog walkers, horseriders and sunseekers (when the weather is good enough!) it has also been featured in film, having just made an appearance in The Invisible Woman (starring Ralph Feinnes and Felicity Jones) and The Monuments Men, written and directed by George Clooney. Personally, I head here for blustery dog walks and to clear my head, so I like it when it is free from crowds and when the tide is out for miles.